I have waited a long time to announce that I will be part of the Sauber Junior Team by Charouz in FIA F2 for 2019. I am looking forward to repaying the Ferrari Driver Academy and the Sauber Junior Team’s faith in me with strong performances out on track. Thank you to Frederic Vasseur at Sauber, Antonin Charouz and the Ferrari Driver Academy for giving me this great opportunity. I was delighted to have been selected by Ferrari to be part of its Driver Academy. I have always loved the Ferrari brand ever since I was a kid, so to become a part of it's Academy is the ultimate. 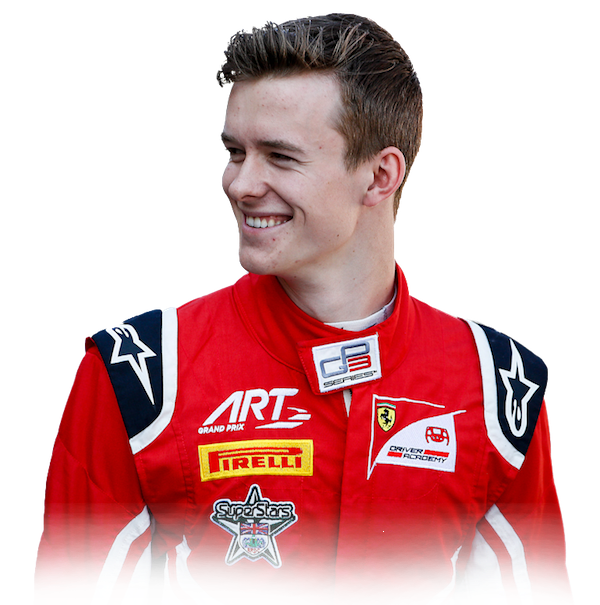 The decision to go with GP3 and ART in 2018 was made together with the Ferrari Driver Academy (FDA). ART Grand Prix are a racing powerhouse and it was a great learning experience to see how they operate. I have been lucky in addition to have the support of the Ferrari’s Driver Academy programme which is now a game changer in the industry on driver development, and it is truly a privilege to have become a part of it to become the best driver I can. So 2018 for me started with a move to Maranello, and then time over in Paris with ART too - and lots of hard graft to prepare for the season ahead. My two wins as part of seven consecutive podium-producing weekends in my rookie season demonstrated the consistency I was aiming for. Challenging for the championship title until the penultimate round was good, but not good enough unfortunately to win. Nevertheless I am happy with what I’ve learnt from racing in the F1 support series; the new tracks to understanding about tyre management and DRS, I’ve built my experience, race strategy and demonstrated both consistency and pace. 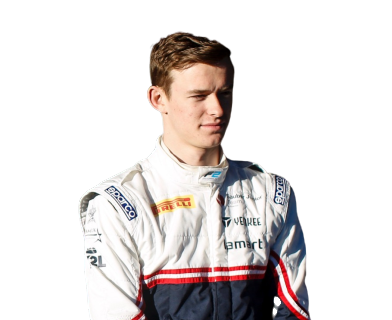 My objective for 2017 was to fight for the FIA F3 European Championship title with greater consistency and to continue to learn and develop my skills, and to do this I was delighted to become part of PREMA for last year - combining my driving with PREMA’s expertise. My selection of PREMA as my racing partner was based on its tremendous track record, heritage and ability to develop a driver in a complete sense. PREMA’s singular focus of developing and enhancing its drivers’ talents to help them reach the highest echelons of the sport is what sets it apart from the competition. I am pleased to have now raced for British, Dutch and Italian race teams gaining different experiences from each of them. 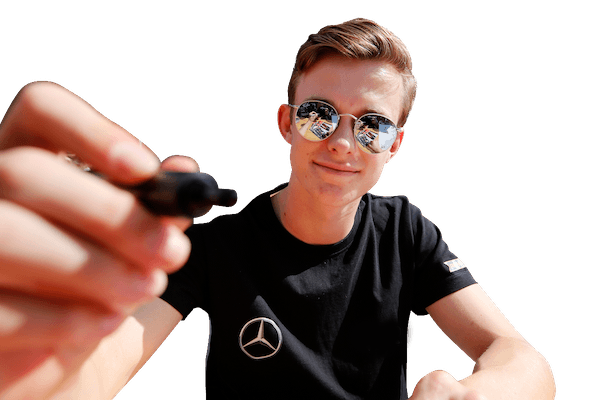 In 2017 year my teammates were Mick Schumacher, Ferrari Academy Driver Guan Yu Zhou, and DTM Reserve Driver for Mercedes AGM, Maxi Gunther. Coming into the 2017 FIA F3 Championship, the teams faced fresh tighter regulations on aero development, and also an update to the VW engine was allowed by the FIA on reliability grounds after only three (out of thirty) VW race victories in 2016. Both changes had the potential to bring teams on to a more level playing field for the 2017 championship and avoid a repeat of the recent Mercedes dominance. It was certainly great to see the VW-driven teams bounce back from a difficult 2016, with the new engine package proving very competitive. In spite of this challenge, we put in some good performances and although personally I was disappointed not to win the Driver Championship, I was please to be one of Prema's two nominated drivers enabling Prema to win the Team Champion title for the record-breaking 7th year in a row. Although we had more up and down moments than I would have liked, I progressed last year with 6 wins and 11 podiums. I had 10 pole positions, more than any other driver, and I out-qualified my teammate Maxi Gunther by 20 to 7 in head to head qualifications over the season. I wrapped up my last year in F3 with a win of Saturday's Qualification Race for the FIA F3 World Cup at my favourite circuit in Macau In November. Quite a year. 2015 racing was all about learning, pushing for the best results and doing the best job I could to learn quickly to deliver a strong level of performance - rookie or not. In moving on in 2016, I looked to challenge for race wins and the consistency of results required to win a European F3 Championship title. We showed good speed at times in qualification and races, enough to deliver a higher championship finishing position, but ultimately did not show the consistency required as a team to deliver the championship win. It was a challenging but positive year and one where I developed my skills on and off track enormously. I had my first race car wins and was the youngest driver to achieve multiple wins and multiple pole positions. Racing with teammates Antoine Hubert, Harrison Newey and Pedro Piquet, I was the lead driver within the team in the overall standings, finishing with more points than all of my teammates combined. Nevertheless being disappointed with my final position in the standings showed me how far I've come in two seasons of car racing. I used this year as a fast-track learning experience to develop my skills to be the best I can be. You have to work hard and keep on learning to become the best. It doesn't always come easily. My debut in single-seater racing was at 16 and was masterminded by Dr Helmut Marko on behalf of the Red Bull Junior Team. 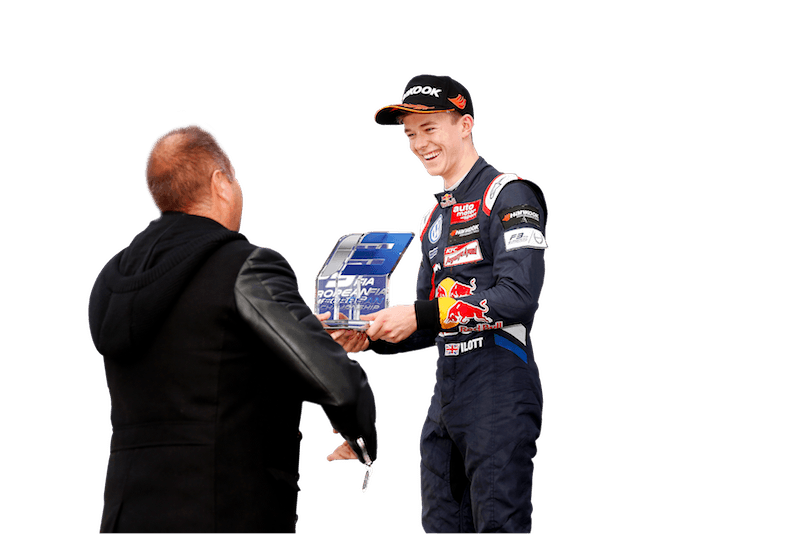 I was Red Bull's first ever driver to be taken from karts direct to F3 to race in Red Bull livery in the FIA F3 European championship. 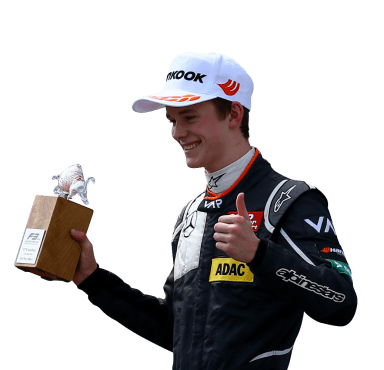 Formula 3 is known as the proving ground for the world's most talented young drivers, producing countless young F3 drivers who have gone on to race at the highest levels. Despite having never raced in cars pre 2015, I finished 12th overall, ahead of many drivers with more car experience. Of the 35 drivers on the grid, I was the only driver to be classified a finisher in all 33 races. I completed the season with a maiden podium at my favourite circuit, the Nürburgring along with several rookie trophies. I finished 3rd of the 6 drivers within the Carlin Motorsport team, behind F1 driver Antonio Giovinazzi and Mercedes Reserve Driver George Russell, and ahead of teammate and subsequent LMP2/WEC winner Gustavo Menezes, Sauber Reserve Driver Tatiana Calderon and Ryan Tveter. Prior to my first season in cars, as a 15 year old I won the four round senior CIK-FIA European Karting Championship, the WSK Super Master Series, came 3rd in the WSK Champions Cup, and finished 4th (from 32nd) in the single weekend CIK-FIA World Championship. 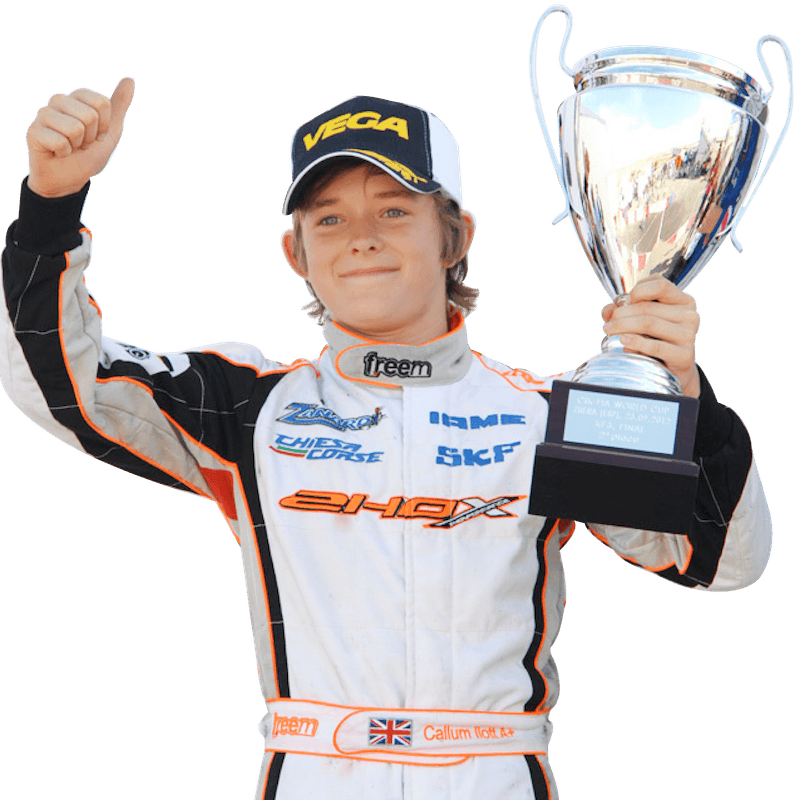 At 13, Callum dominated the international under 15s KFJ category with wins of the WSK Masters Series and the WSK Final Cup, runner up in the WSK Euro Series and CIK-FIA World Cup, and was voted the youngest ever WSK Driver of the Year in 2012. 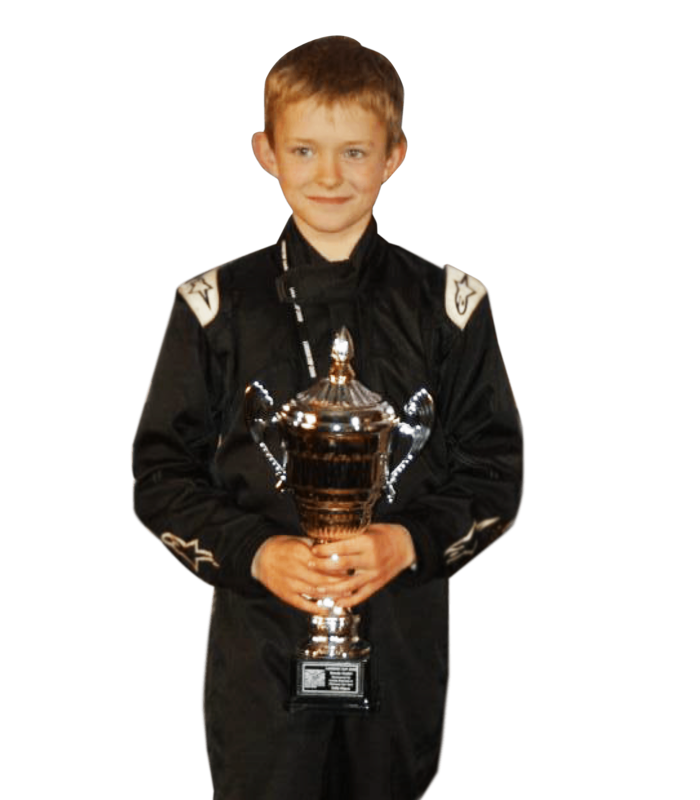 Callum had his first drive in a kart just before his 7th birthday and took his competitive race licence as soon as he was 8. 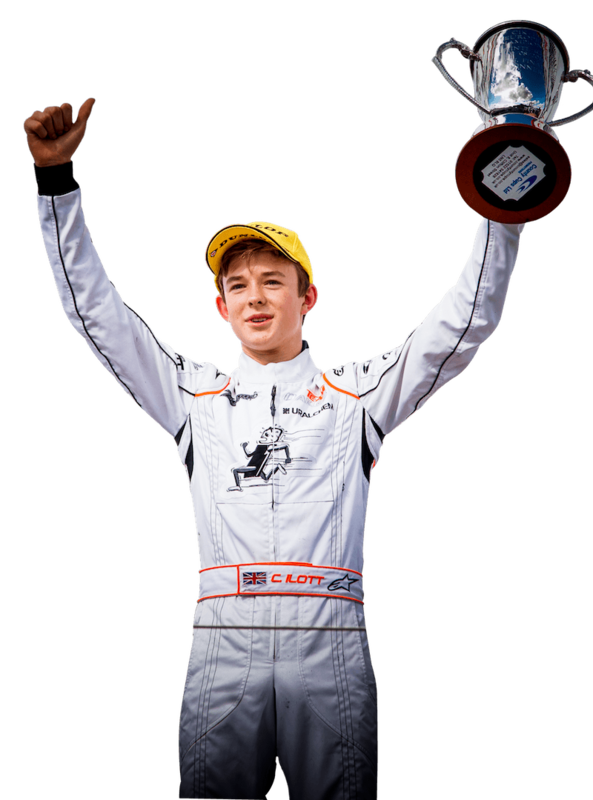 By 12 years he had begun to impress the international karting scene by winning the under 16s Formula Kart Stars British Championship, and finishing 3rd in the German National Championship (KFJ category).